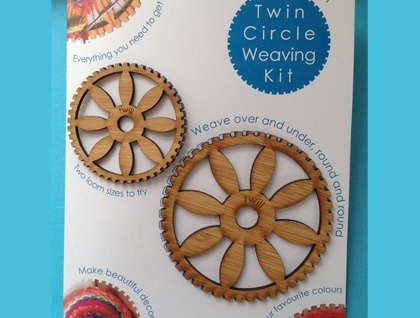 Everything you need to start circle weaving and making your own beautiful decorations. Why not weave some little 'flowers' to pin onto your favourite, coat, bag, beanie/hat or as a gift for a friend. 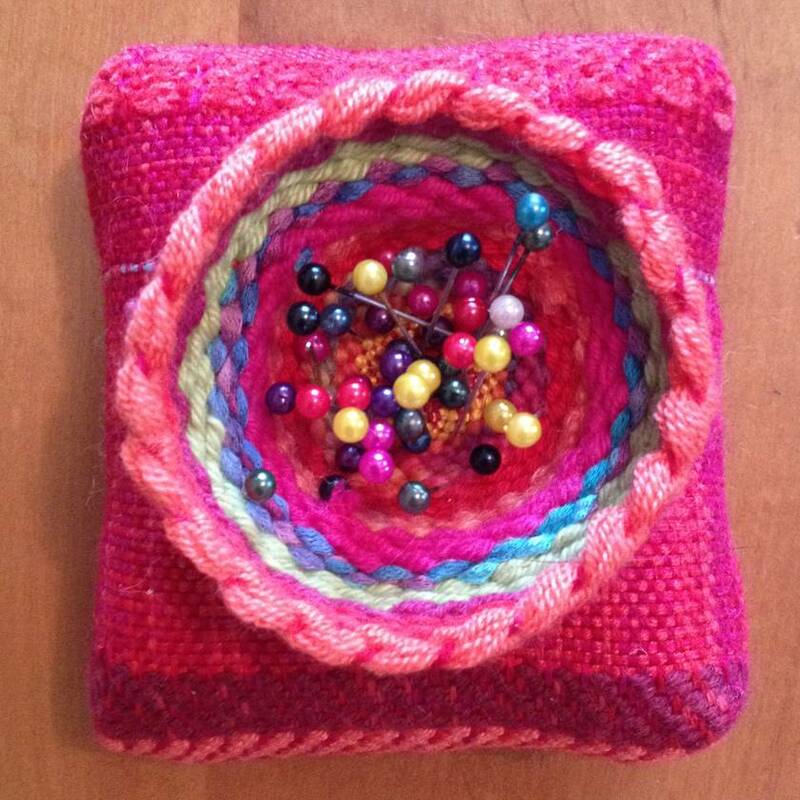 -A Mini and a Tiny Twill Textile Design Circle loom/frame (which measure almost 9cm in diameter and 6cm respectively) Both are perfect for on-the-go crafting and can be used over and over again. 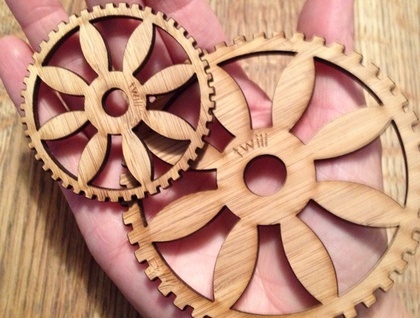 These have been laser cut to our own specifications here in New Zealand and are made of 100% renewable bamboo-ply. - Some fine NZ merino 'warp' threads to set up the loom. This is a great weaving activity for anyone aged about 9 to 99 and it's perfect for using up odds and ends of yarn that you may have. Contact twilltex to enquire about payment or shipping options.